Drum circle file photo, Electric City Experience. KAUKAUNA — The 2017 Electric City Experience will feature a community drum circle at the main stage that will be open to all ages, according to organizers. The family-friendly music and community festival to returns for its third season to downtown Kaukauna beginning at noon on Saturday, June 10, 2017. 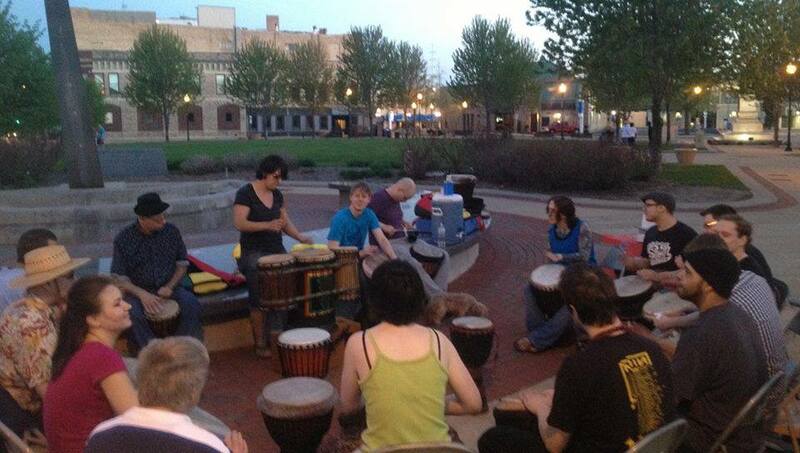 The drum circle will take place at 8 p.m. on the Kaukauna Utilities Hydro Park Main Stage. No musical experience is necessary to participate. The festival will once again feature a fireworks display over the Fox River at dusk. The festival features live music from more than 60 bands and solo artists, great food, vendor market, Bash for the Brave Veterans Tribute, Native American Drum and Dance Group, car show, kids games and activities, inflatables and other family fun. The Downtown Kaukauna Farmer Market also will be up and running in its usual spot beginning early Saturday.